An RSS File or RSS Feed is generated by some websites, as well as by many blogs containing a specific version of the information published on that site. Each piece of information contained within an RSS file is called an item. Each item usually consists of a title, a summary and a link or URL to the source website or simply contains the full text. It may also contain additional information such as the date of publication or the author. The RSS file is automatically rewritten when an update takes place on the website. By accessing the RSS file it is possible to know if the contents have been updated and with what news or texts, but users don’t need to access the website except to read the extended version. This is an excellent tool (free, by the way) that allows you to monitor information which may be relevant to your blog or website, as well as permanently catching keywords that can significantly help you to improve your SEO experience. RSS may also be a useful means to watch your online reputation. Everything depends, of course, on the feed you configure. One recommendation is to receive information from sites where users complain about the bad services or products from several brands and companies. Thanks to RSS, the information will come to you and you will not have to look for it every time you spend time monitoring the web. If you are the CEO of your own business, it is normal for you to keep up to date on news, trends and the movements of your niche (this, not to mention your competition.) If you are diligent, you surely take the time to read the news daily in a series of favorite websites, or read what the social media algorithms recommend or what your contacts publish, as well as the organizations and individuals you follow. The problem is that you do not always review all the important information on those websites, or sometimes you miss it simply because there is always so much to read. Maybe you usually spend all your available time reviewing every page that interests you and you always leave some websites or entries that may be useful for your business. Here is when RSS can make it easier for you to get information in a very productive way. Not just that: When you know how RSS works, you can make it possible to users to follow the content from your website on their own RSS feeds. Users like you: With too much to read and few time. An easy way to make your own RSS Feed is through an iPhone app, so you do not even have to open your browser to go to the websites of your interest. The feeds will come to this app, even organized by categories, and this will shorten you a little way. The recommended app is Feedly, which is very easy to use. Just open a series of folders that will store the feeds, and the app will notify you when new information is available. If you want to add RSS to your website (which can also help you to reach better positions in Google searches since Google encourages and rewards the improvement of the user experience,) you should do the following. The first thing is to find an RSS button generator. Then, select the buttons you want to add to your website. The most popular buttons are at the top of your list. You might want to add these, but make sure you do not add too many, as these will take up a lot of space and may even slow down your website load from mobile devices, which can affect your search engine optimization. Choose the type: Default, Drop-down or Blog-specific. Each of these options is useful for different situations. The default one creates the basic code. This should be used if you do not know which option to choose or if you already have an RSS Feed burner. After writing the blog title or website, write the URL of your blog, and then the URL of your RSS feed. Good RSS management can help you to improve your web traffic. You can use Hootsuite in a very simple way for this purpose. Add “/ feed” to the URL of any website you want to include in your feed (yours, for example,) go to Hootsuite and click on the ‘publisher’ option and search for 'RSS feeds.’ There you paste the URL, and you can even select the frequency of monitoring. 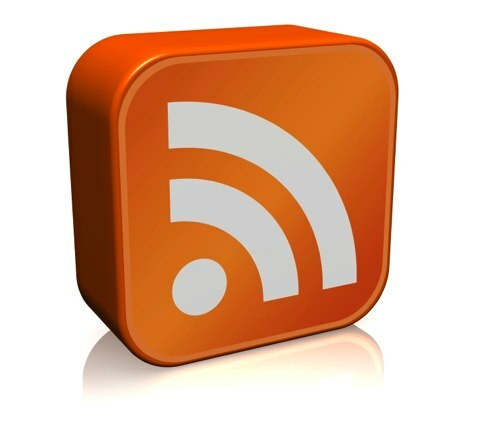 What you can do with this tool is to publish your RSS feeds on your social networks. Of course, you can do it with your own blog or website and thus generate much more traffic automatically. For more information, check this tutorial.